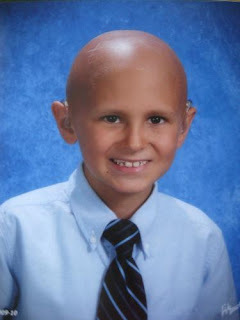 I am back to spread some love for a sweet little boy who has cancer. His name is Ethan and is 7 years old. Ethan has neuroblasma, which is spreading. You can read his entire story on his cousin Kristen's blog. Ethan also has an older sister named Sierra who worries about him and takes such good care of him. This appeal was published on "The Three Clovers Designs" if you want to see the original post. I am just spreading the word and the...love! What we ask is that you too give a little of yourself, and maybe you have a card or two around the house (they don't need to be handmade) to send to Ethan and Sierra. They love to get mail, and that would make their holidays a lot happier!